Bronchitis is one of the most common types of lung infections. It is an inflammation or infection that causes the bronchi (main air passages of the lungs) to become irritated which leads to coughing and difficulty in breathing. The main cause of bronchitis is the viral infection in the bronchi area. This infection is usually caused by the same viruses that are responsible for cold and flu. Other sources include exposure to tobacco smoke, polluted air, dust, chemical fumes, and strong acids. Bronchitis develops when bronchi become irritated or inflamed. In response, the walls of bronchi produce more than average mucus to trap dust and other particles that cause irritation. This process is a part of immune system which fights bacteria and viruses. How do bronchitis treatments work? In most cases people who suffer from acute bronchitis are in no need of a General Practitioner. They can easily take care of the infection at home. Doctors instruct patients to rest, drink lots of fluids, and keep away from polluted air, dust and smoke. Drinking fluids helps to prevent dehydration as well as to thin the mucus which makes it easier to cough up and get rid of the infection. Treating fever, headaches, or other types of aches is highly recommended as not to promote the infection further. If a person with bronchitis is a smoker, they should try stopping immediately. Cigarette smoke irritates the bronchi further, which increases the risk of developing chronic bronchitis. There is no cure for chronic bronchitis, but to help relieve the symptoms, there are several treatments which doctors prescribe. 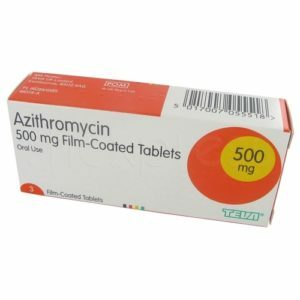 Antibiotics such as Amoxil, Azithromycin and clarithromycin are used in treatment. These help to fight bacterial infections. Cough medicine is also used, mainly to suppress the coughing symptoms in order to alleviate breathing and rest throat from coughing. However, it is not recommended to completely abolish the coughing as it is necessary to bring up the extra mucus. Doctors additionally recommend behavioural remedies such as using a humidifier, pursed-lip breathing or avoiding smoking areas. Bronchitis can be acute or chronic. Acute bronchitis is usually a short-term illness and often occurs after catching a cold. In most cases this form of bronchitis can be easily treated at home as it usually clears up by itself within a few weeks or even days without using any medical treatment. Chronic bronchitis is displayed by persistent cough with a production of mucus. Symptoms are heavier in this case. It is caused by air pollution, dust or can also be the result of continuous attacks of acute bronchitis. However, it is most commonly caused by cigarette smoking. Not smoking tobacco and avoiding smoking areas is the first thing to know about preventing the infection. It also helps to wash hands regularly, to keep healthy hygiene, and to get pneumonia or a yearly flu vaccine. 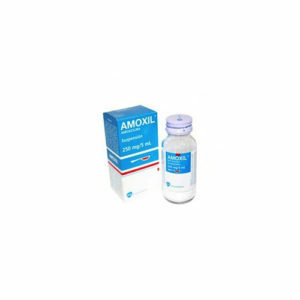 Can bronchitis treatments be purchased online? You can purchase bronchitis treatments online safety and securely with loxdoc. You will first complete a free consultation with a doctor and once approved the bronchitis medication will be shipped to you by express delivery.